Tour the Healey Building as it celebrates its 100th birthday! Built at the end of Atlanta’s first skyscraper era, this 16-story neo-Gothic now commercial and residential success was designed by noteworthy Atlanta Architect W.T. Downing. Even though World War I curtailed the plans for a second tower, this building with its elegant rotunda is a jewel of the Fairlie- Poplar Historic District. This event is partially accessible to individuals with physical disabilities. For questions call 404-688-3353. 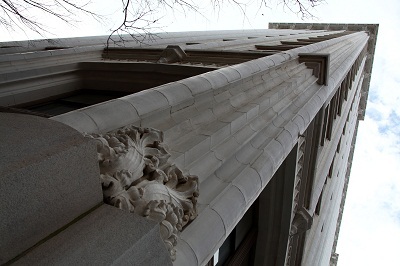 The Healey Building includes a 16-story tower of which 14 floors are residential, second floor office space, ground floor retail and restaurants, and a neo-Gothic connecting rotunda. The residential portion is operated by the Healey Condominium Association and the commercial property is owned and operated by Westplan.